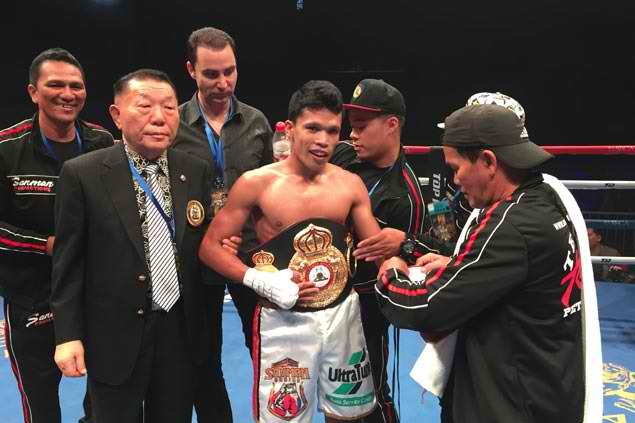 Randy Petalcorin is looking ahead on the winner of Melindo-Yaegashi IBF World light flyweight title fight that will happen today in Japan. “I want to fight the winner. I want Melindo to win but I think Yaegashi has slight edge to win. I hope the winner has the balls to fight me,” Petalcorin said in a statement forwarded to this reporter. Petalcorin is a former interim WBA World light flyweight champion and successfully defended it againts Yiming Ma in 2015. Petalcorin moved in the flyweight division where he was defeated via controversial Split decision against Omari Kimweri in 2016. The 25 years old Davaoenio won his last 3 fights in the Philippines.